This article is 250 days old. Windsor Police are looking for one person after three convenience store robberies in the city on Monday, August 13th, 2018. The first happened around 9:30pm, at a convenience store located in the 300 block of Mill Street. They say that a male suspect entered the store and approached the employee. He brandished a knife and demanded cash. He left the store and fled eastbound on Peter Street. 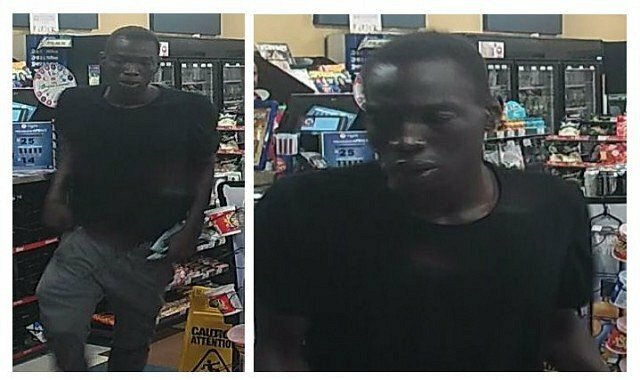 The around 10:25pm, the same suspect entered a convenience store located in the 3600 block of Matchette Road. The suspect entered the store with his identity concealed by clothing and approached the employee. He brandished a knife and demanded cash. He left the store with a quantity of money. The same suspect then entered a convenience store in the 2600 block of Jefferson Boulevard at 11:25pm with his identity concealed with clothing. He approached the employee, brandished scissors and demanded cash. He fled the store and was last seen crossing the street in a southwest direction. There were no injuries as a result of these robberies.